Feel safe on long distance journeys on one of the leading mobility scooters in the UK. 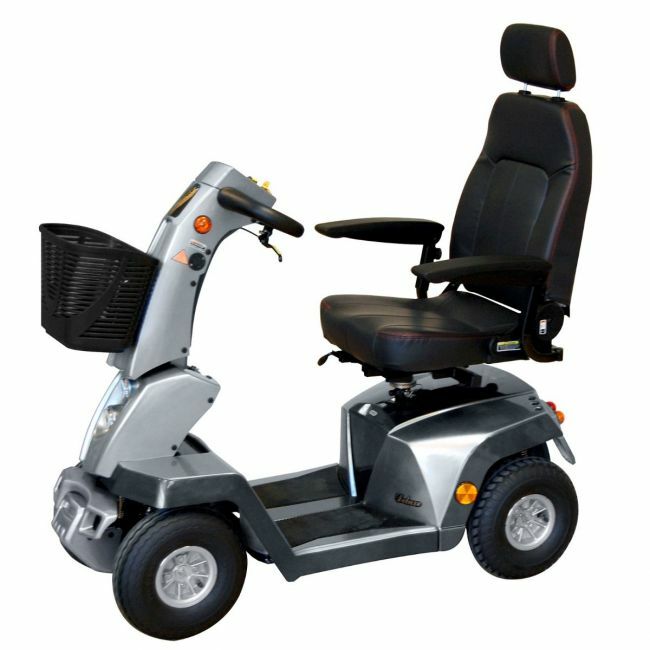 This Shoprider Grande is a Class 3 four wheeled adult mobility scooter designed to offer uncompromised comfort and safety on long journeys. The Shoprider Grande Mobility Scooter can travel up to 18 miles on a single charge at speeds of up to 7.5mph. Users can also conveniently limit the speed to 4mph for pavement use. Comfort comes from a fully adjustable captain seat, armrests and padded headrest, and all-round suspension and black non-marking tyres cope with a variety of challenging terrains. Extra features include Full LED lights, Indicators, hazard lights and a USB charging port on the tiller.